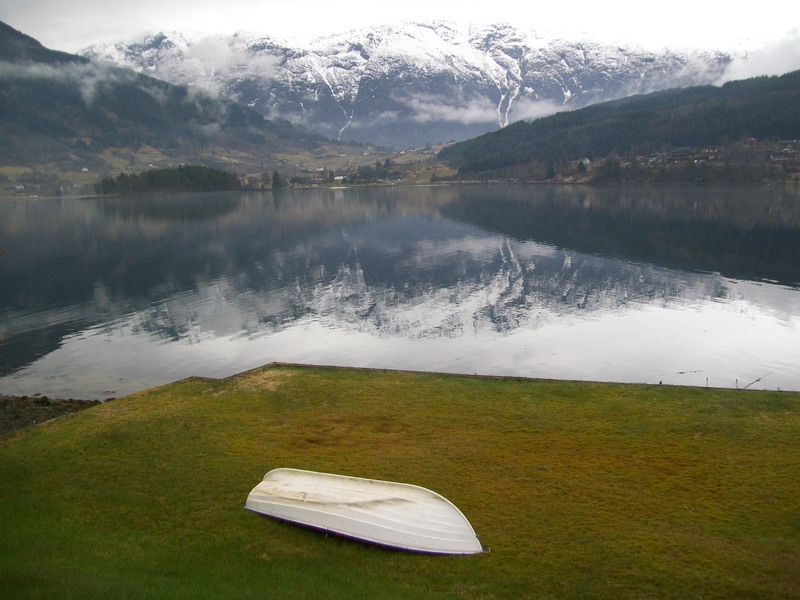 Norway is playing down its Winter Olympics success, according to the New York Times, via MSN, so I’ll claim it as being down to my influence, which also scores 93 on the all new for 2018, and not used for a while parodymeter (any outsourcing funding for vulgar victory celebrations from Norway [as cited for Winter Olympics sports in the article] will be reluctantly accepted). 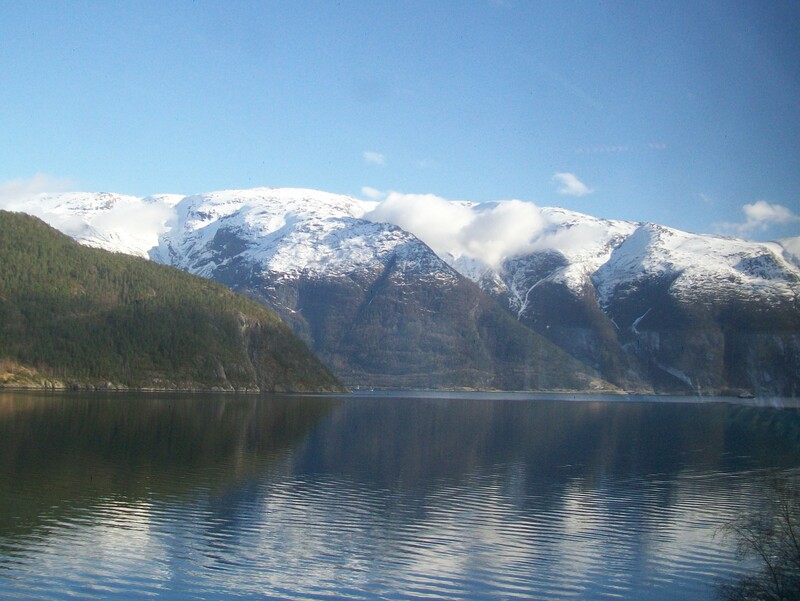 I didn’t think I’d taught Norwegians much about snow from the day I spent on Bergen’s Mount Ulriken in 2013 but it is now obvious that I did! 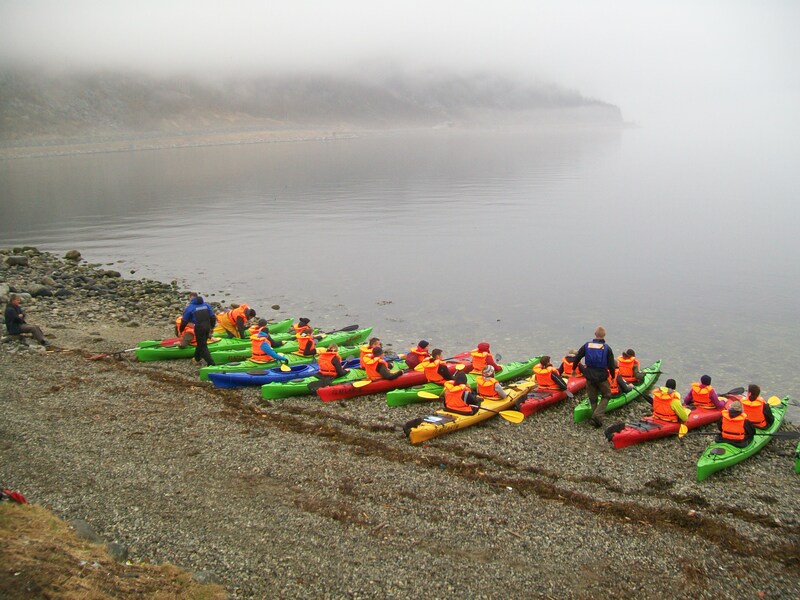 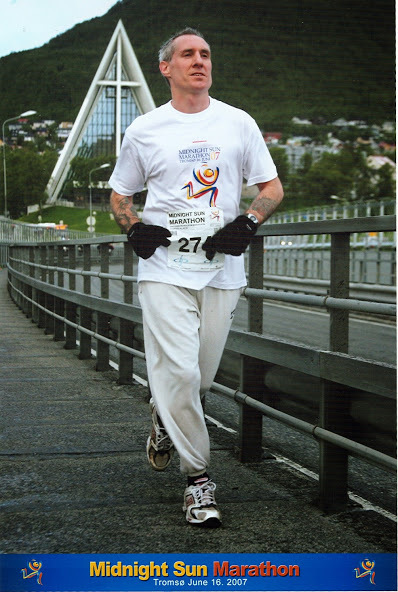 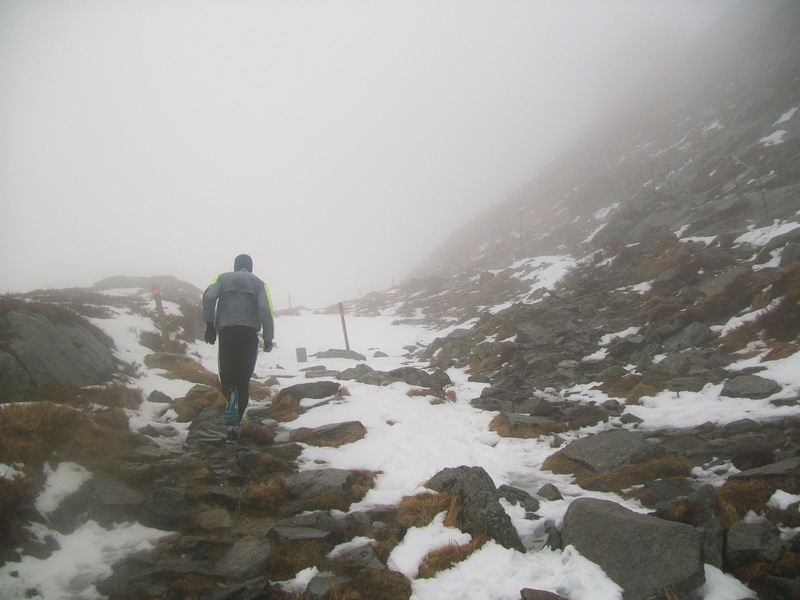 Running the Tromso Midnight Sun Marathon in 2007 also must have taught them a thing or two about endurance!! 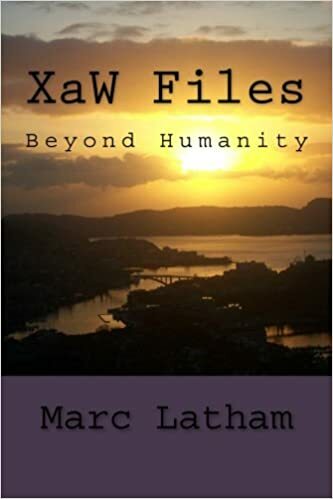 Norway also provided the cover star for XaW Files: Beyond Humanity of course! 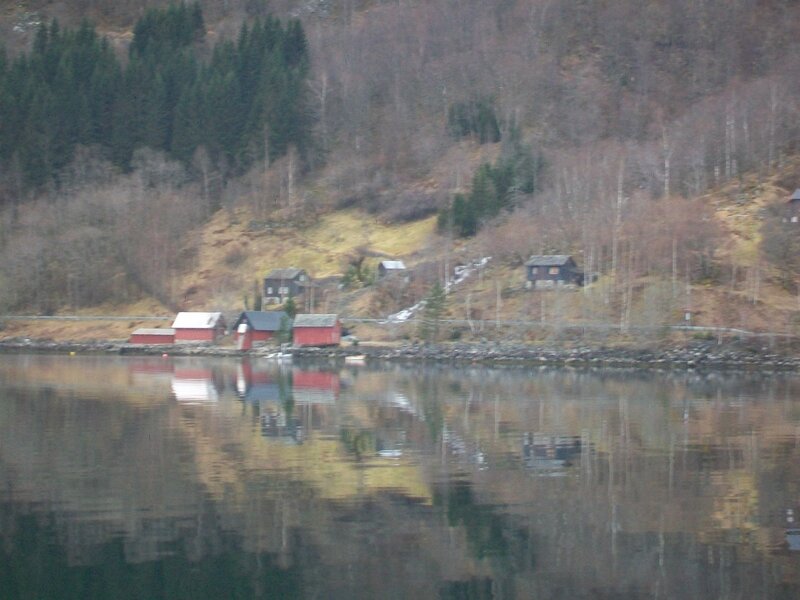 When I returned to Ulvik from Eidfjord on the ferry there was a bus soon after back to Voss, but there was also a last bus three hours later. 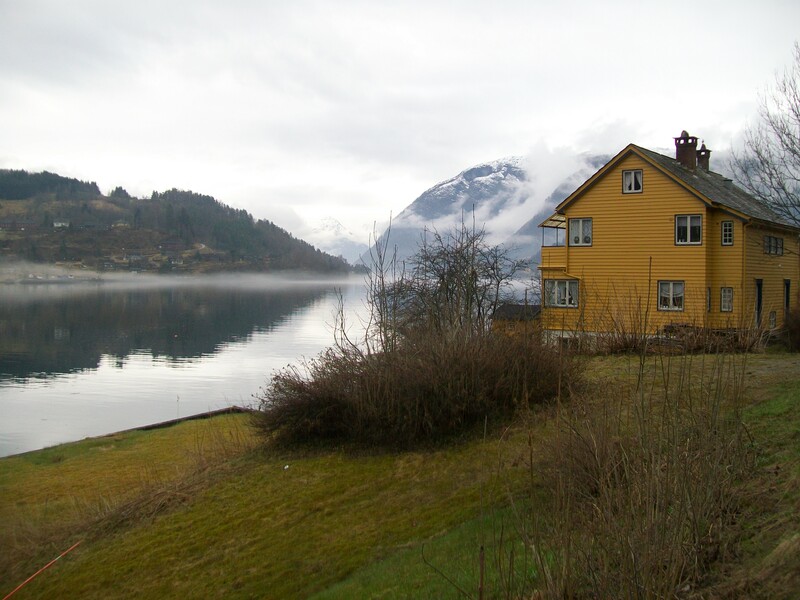 Although I’d already had enough beautiful nature for one day, Ulvik looked a nice town; circling the end of one of Hardangerfjord‘s most easterly tributaries. 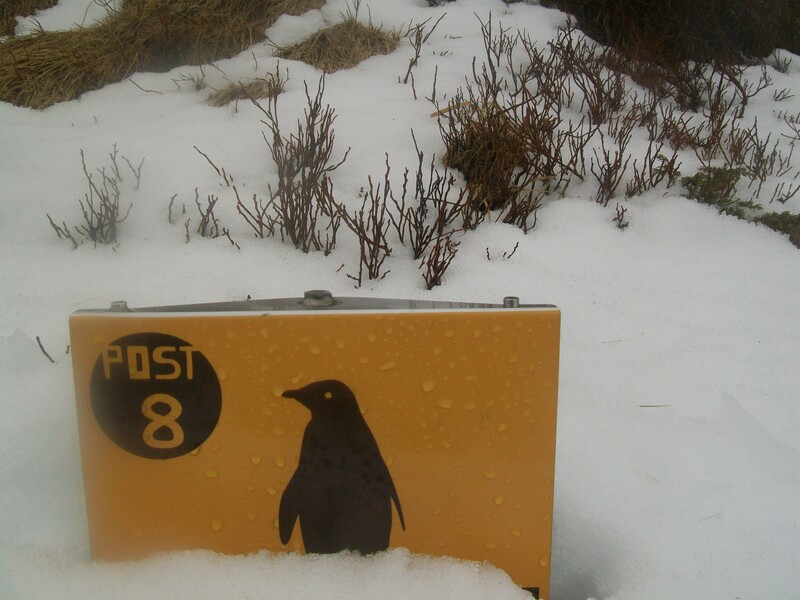 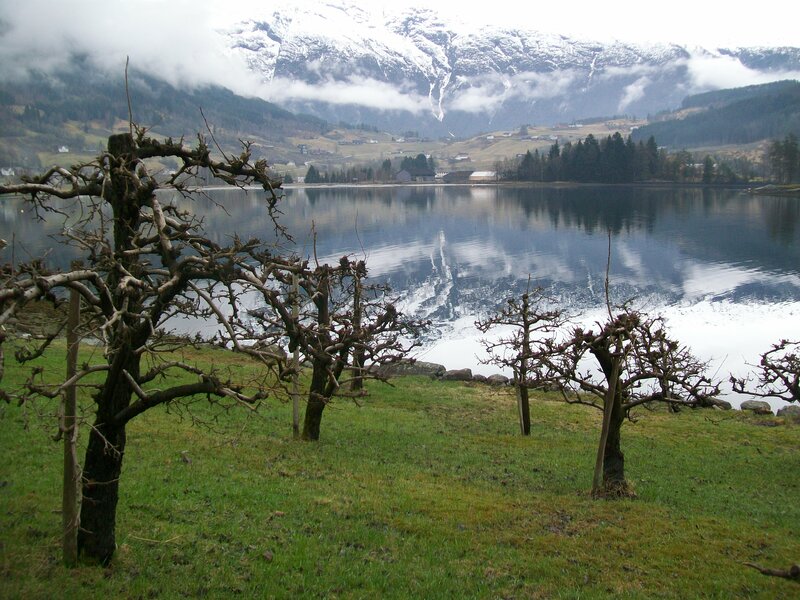 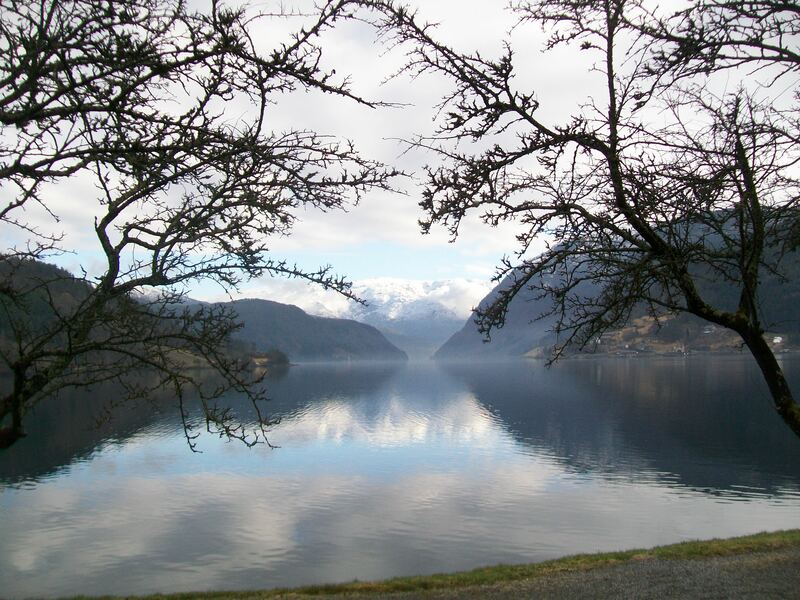 I enjoyed walking around the town and fruit farms, and felt particularly rewarded in the last hour of my time with the fjords when the sun and blue skies appeared on the snow-capped western horizon mountains, and the last bus drove me towards them. 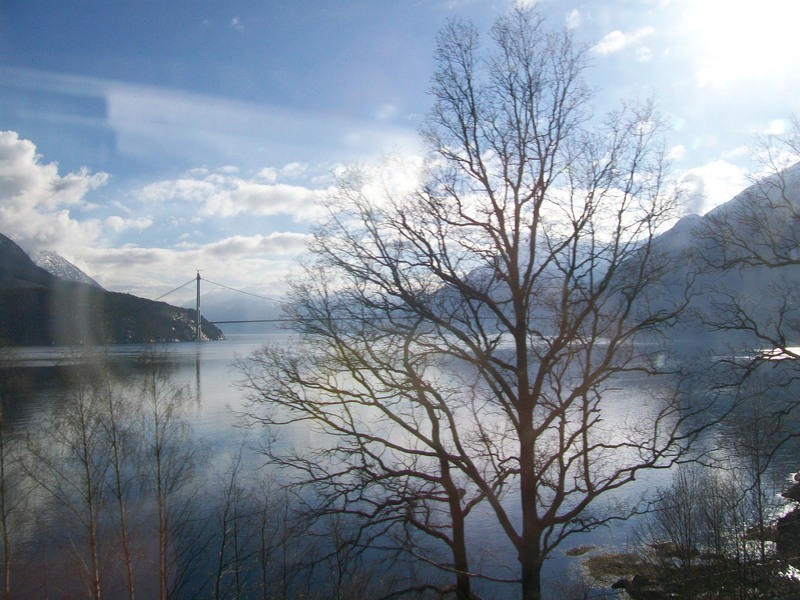 While I’d like to speed along with the travel25years journey, my travelling life has taught me patience, and that you should enjoy the journey and not just look forward to the destination; as attested to by numerous travellers and writers before me. 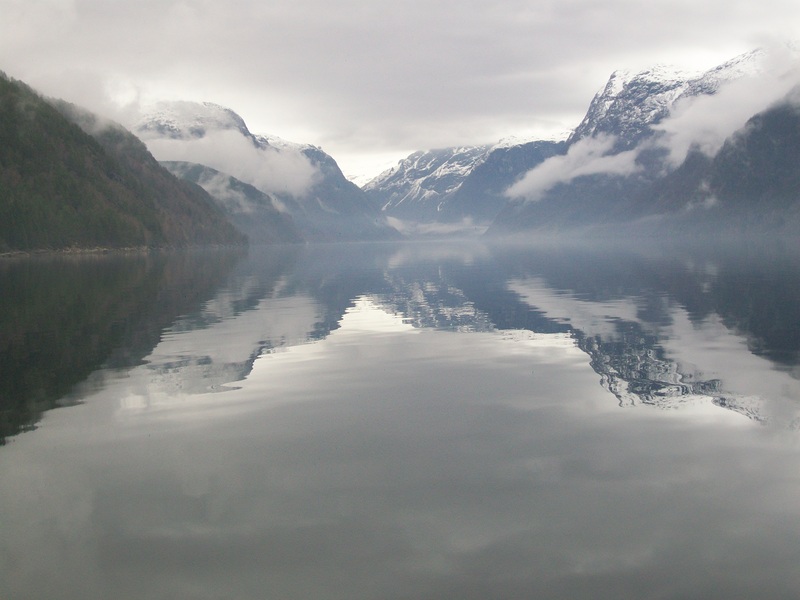 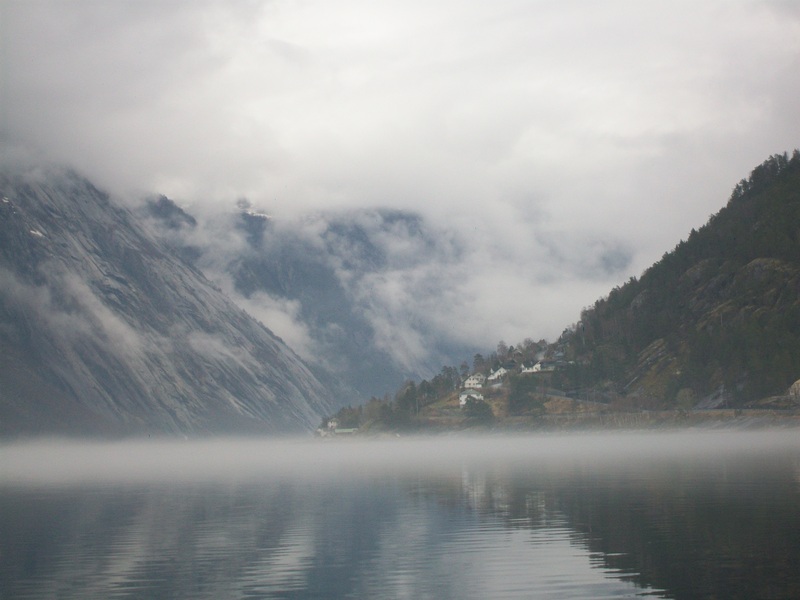 So this blog is dedicated wholly to the Eidfjord–Ulvik ferry journey, as I like the mirror reflection photos created as the low cloud of the outward journey cleared. 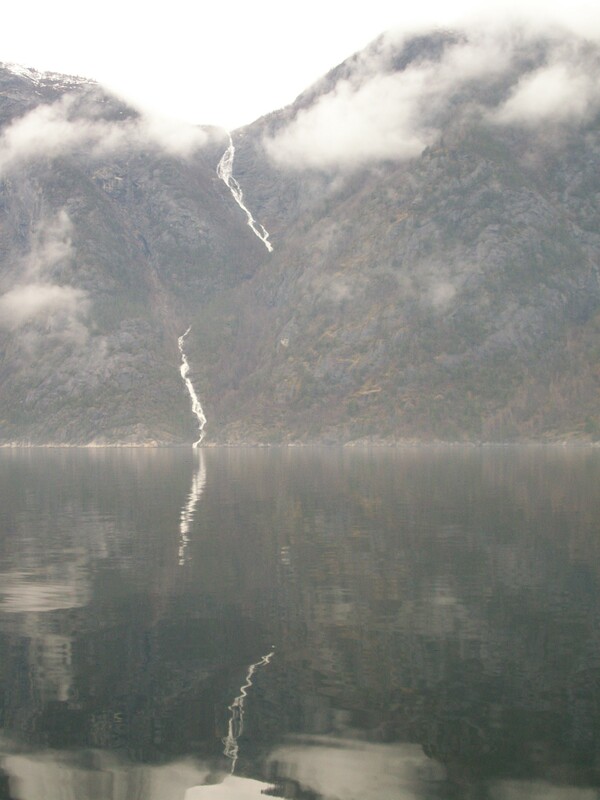 And it was patience, and a desire to see as much of the fjords as I could that helped me capture these Eidfjord to Ulvik photos. 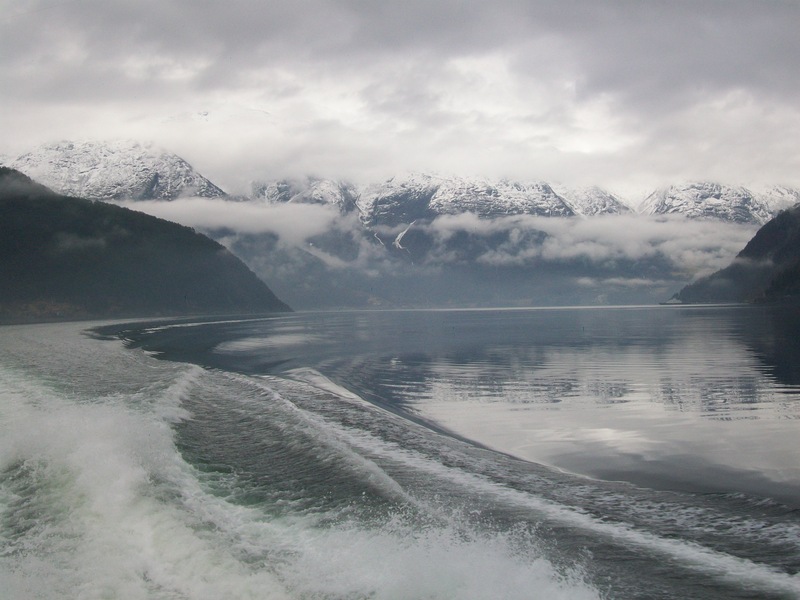 While the inside of the ferry was warmer and more comfortable; and the weather conditions not ideal; I stayed out on the back of the ferry all the journey, and I think I was rewarded with some great photos. 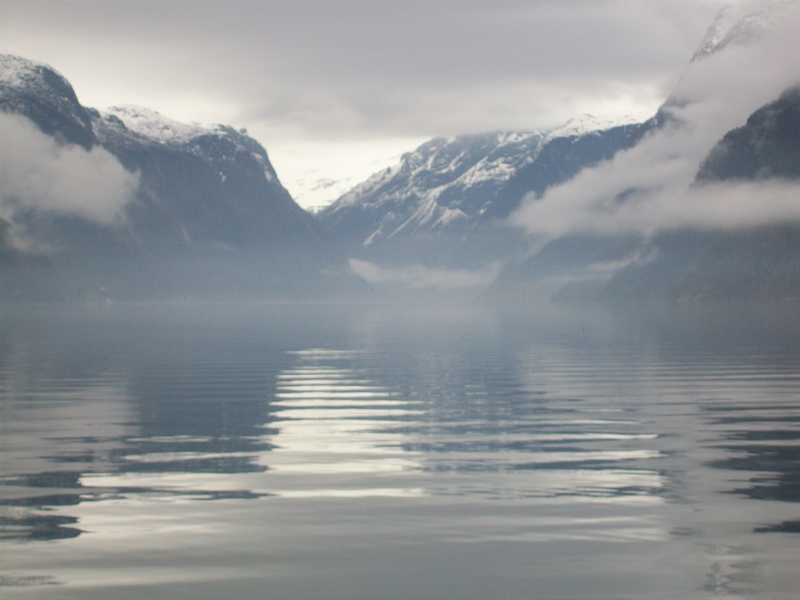 Although I may be blowing my own trumpet a little there, I fully acknowledge that it was mainly my love of nature that made the photos possible, rather than my photography skills. 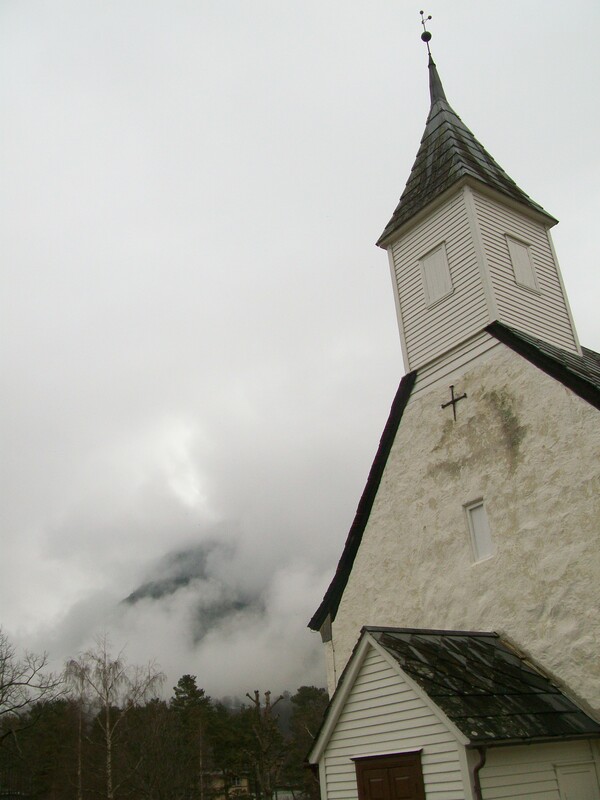 Marc Latham has books available on Smashwords and Amazon. 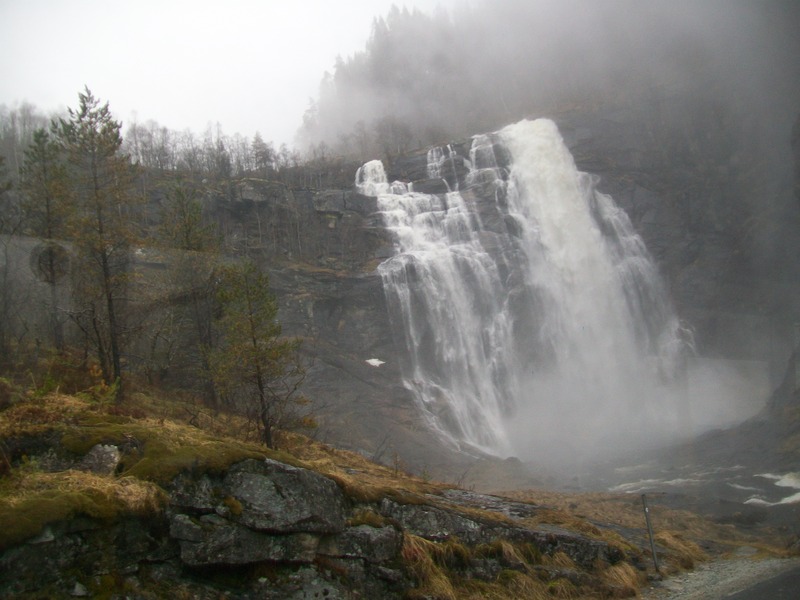 Waterfall on road between Voss and Eidfjord. 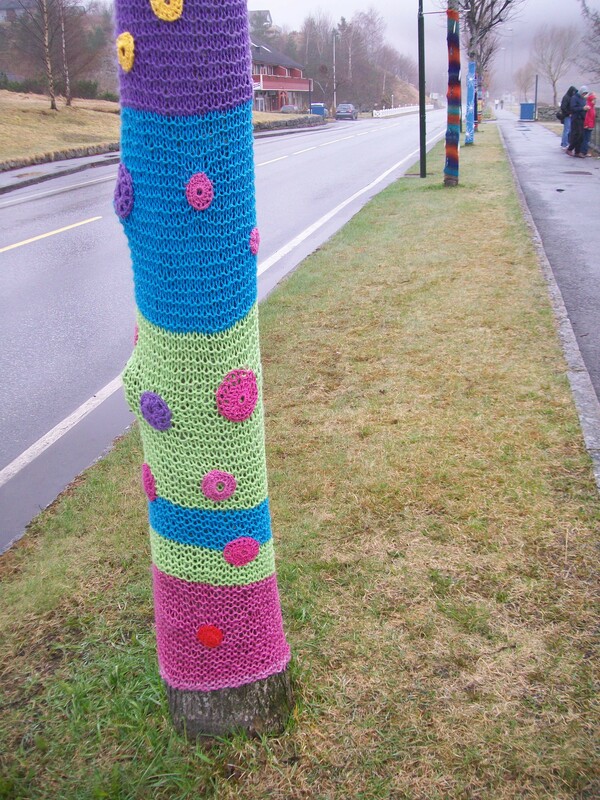 Colourful knitting around Eidfjord trees. 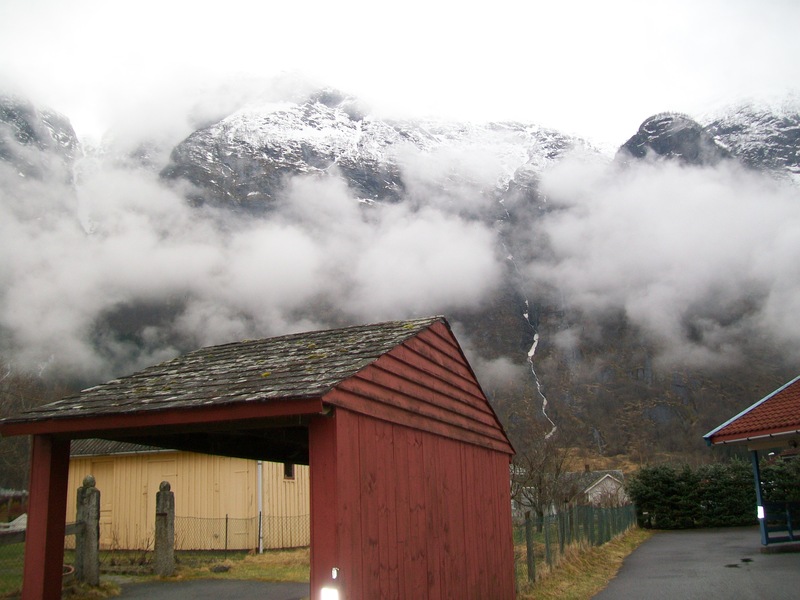 Eidfjord houses, waterfall and mountains. 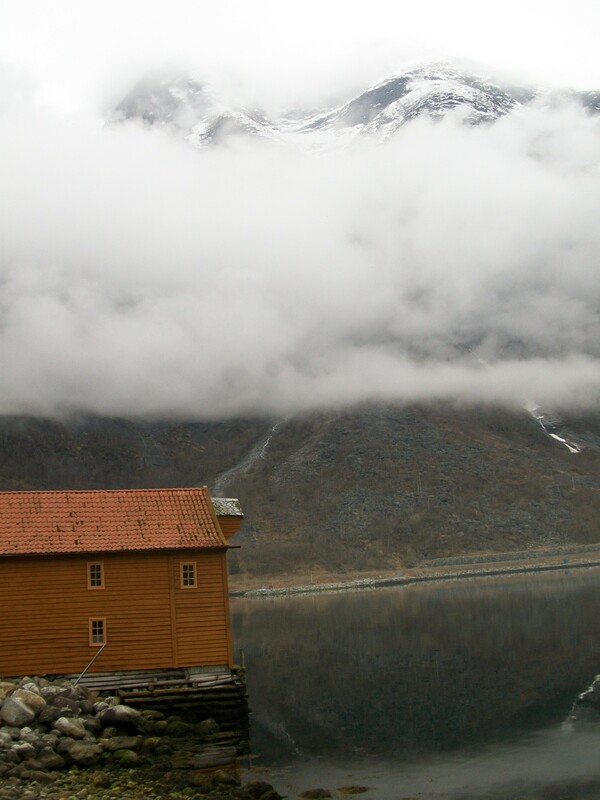 Boathouse, mountain, waterfall and reflection. 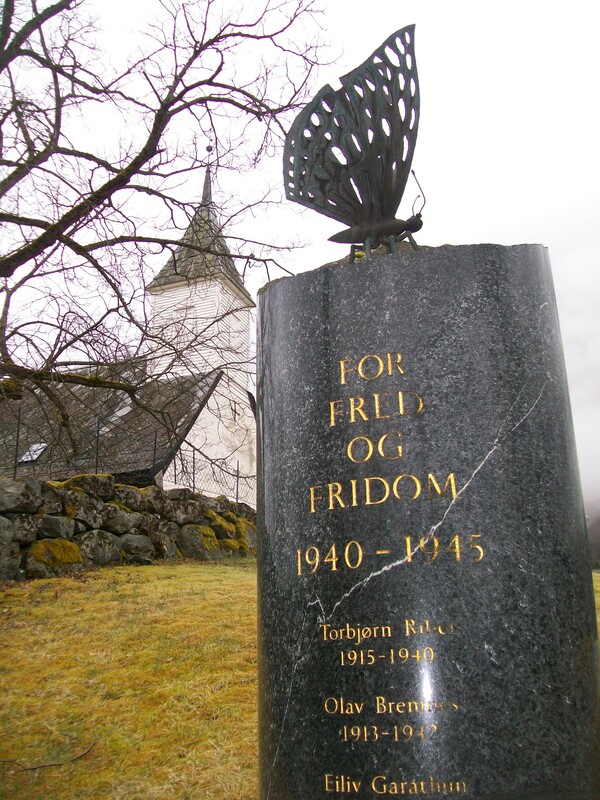 World War Two freedom butterfly memorial.